Wedding is a special event that you want to make fun and memorable. But it often happens that the budget does not allow the newlyweds to organize a big wedding with many flowers, live music and fireworks. To organize a wedding ceremony can be on your own, but you will need to properly allocate the budget. The budget of any wedding has its limits. 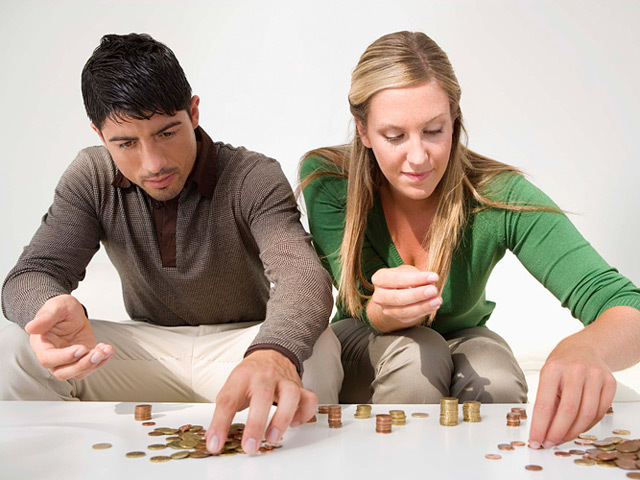 At its formation the couple can rely on their own strength to save money for a wedding, to take out a Bank loan) or to help loved ones (to take). When planning a wedding budget you need to make a list of possible embezzlement. Then from this list choose a few important points (for example, wedding outfits for the bride and groom, the Banquet and the cortege of the bride and groom). Next to each of the selected items, you need to specify how much you are willing to spend on it. When planning a wedding, do not skimp on the quality of the food, the photographer, the Agency for the organization of a wedding celebration and, of course, leading to your holiday. What to save when organizing weddings? Turning to the Agency for weddings, newlyweds can offer additional facilities which are not included in the budget of their wedding. The services offered are so attractive that I want to get them, but in this case expenses? You can decorate yourself all the cars in the tuple (except the limo, the bride and groom – it needs decorating professionals). Salads for a wedding menu can be ordered cheaper (such as shrimp, mussels and other delights), but the food must remain high quality and delicious. Jewelry of the bride has good quality in ordinary shops. Here it is much cheaper than Bridal salons. And the winner of the holiday for sure have your acquaintances or friends who have played a wedding before. The cost of the wedding budget is largely determined by the Banquet venue and time of celebration. In the summer weddings are more expensive. Cheaper the holiday will cost in the fall. The greatest probability of receiving big discounts on the organization of the wedding ceremony – winter. In the winter bride can buy a wedding dress from past collections at a significant discount (70%). Negative aspects of the organization of the wedding in the winter also exist. So much more cost fruit on the table and the flowers the bride need to purchase additional winter accessories to the dress and walk of the newlyweds has to be reduced to a minimum. The choice of venue is the most difficult task, it is not so easy to find cafe or restaurant with excellent and appropriate for the celebration interior, your menu and reasonable prices. Organizing your own wedding, you should not rely on the examples of other weddings for friends and acquaintances. Let your celebration will be unique and different from others.